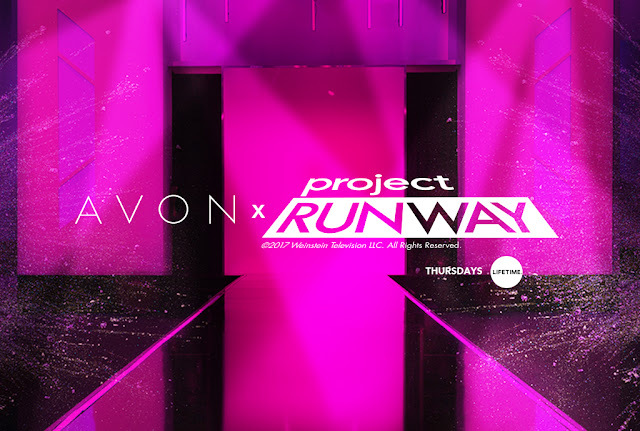 I was so excited when my friends at Avon sent me a package of goodies, on how to create one of the looks they did on Project Runway for wine-stained lips. I'm not typically a dark lips girl, but it was really fun to try this look out for something new! They sent two eyeshadow singles, in Beige and Black Brown, and a great felt-tipped liquid liner in black. For the wine-stained lips they sent me a glimmersticks lip liner in chocolate, and two lipsticks - oxford wine and cherry jubilee. The name "glimmersticks" is a bit misleading - chocolate is a gorgeous matte lip liner, that is super flattering and goes with tons of lippies. Like I said, wine-stained lips isn't my typical look, but I really liked it and got quite a few compliments when I was wearing it. In this look I'm wearing the beige eye shadow in my crease, with a shimmery pale white eye shadow, and the black liquid liner. These products all wore beautifully! Would you go for a look like this?